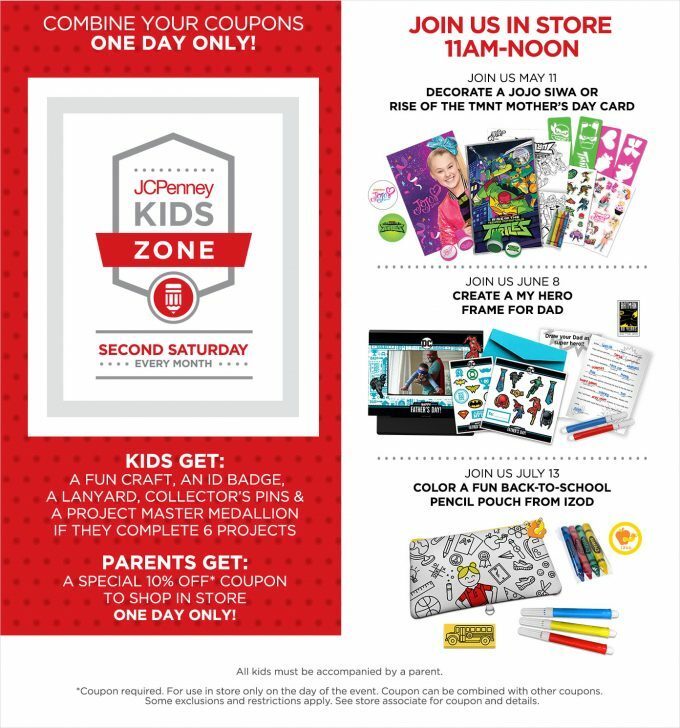 Mark your calendar for May 11th from 11am – 12pm to visit your local JCPenney Kids Zone. Kids can decorate their own Mother’s Day card for FREE! Your store will have all of the needed materials for the kids to create their calendar. Parents will also get a 10% off purchase coupon valid on May 11th only. Click here for more info on this FREEBIE and more from JCPenney.